The unthinkable George Zimmerman verdict reveals why we need to remove the stand your ground laws that encourage America’s worst racist instincts. We believed we were long past the point where an unarmed boy would be gunned down because of his race. We were told by dulcet-voiced television pundits soothing us from their comfortable chairs that electing a black man twice as President had pushed all the problems away. We believed, despite racial profiling and the billions of dollars wasted on racially biased arrests, that our nation was “post-racial.” But on a hot Saturday night, a six woman jury demonstrated that this was little more then a myth with one of the most egregious verdicts of the 21st century. This jury acquitted George Zimmerman because virulent laws enacted to cater to these harmonious fantasies encouraged our worst instincts. Trayvon Martin is dead. There is no verdict or legislation that can bring him back. 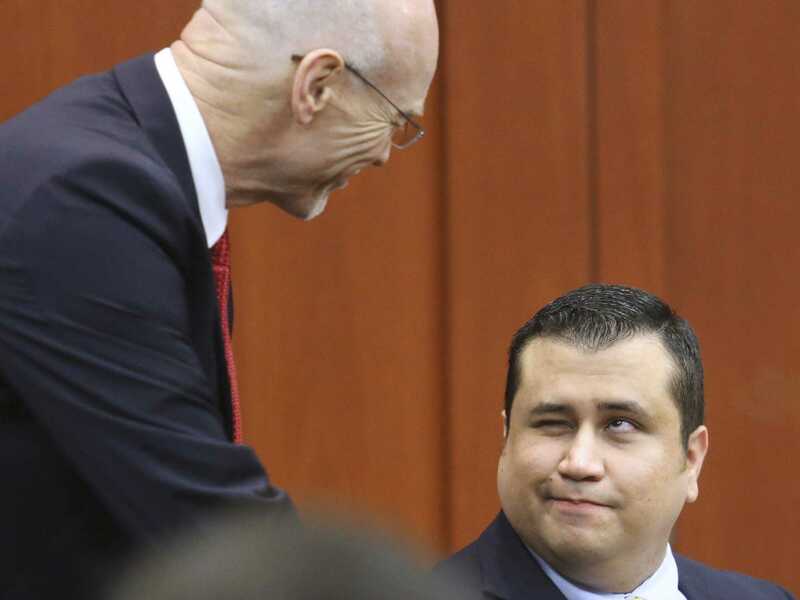 The man who executed Trayvon from within the privileged gates of an affluent Sanford community has walked. The same statute* that permitted Zimmerman to flee without consequence has also caused an African-American woman to be sentenced to twenty years in prison** for firing warning shots. Clearly, there is something deeply injurious inside the “stand your ground” law that allowed all this to happen. Trayvon has not been the only victim. The Tampa Bay Times has complied a list of casualties, with the accompanying stories revealing hurt and sorrow needlessly complicated by a law intended to create simple results. “Stand your ground” supporters, such as Florida State Rep. Dennis Baxley, have claimed that violent crime went down and that tourism went up, as if some modest spike in Walt Disney World visitors atoned for an instrument encouraging our basest vigilante instincts. But the facts demonstrate otherwise. Five years after SYG was put into Florida law, reports of justified homicides tripled. SYG cases are are more likely to increase the not-guilty finding of a person accused of killing a black person. A CU-Boulder study from last year revealed that 69 undergraduates and 254 police officers were more likely to shoot black suspects over Hispanics and whites. And all this is just the beginning. But much as Arizona’s racist anti-immigrant law has spawned two dozen clones across state legislatures, 24 states have followed Florida’s racist lead, putting their own versions of SYG on the books. Ten of these states didn’t even bother to change the language, passing bills that were nearly identical to Florida. These political actions were as callous in deed as epithets or hate automatically assigned to a person because of skin color. At Salon, Roxane Gay eloquently argued why no one should allow themselves to feel hopeless because of these developments. Beyond asking difficult questions about why racism’s cancer continues to infect the promising fabric of our nation, we need to examine the machinery that holds the quilt together. Libertarians have long parroted Justice Oliver Wendell Holmes’s famous maxim, “Detached reflection cannot be demanded in the presence of an uplifted knife.” But it is no longer 1921. And a strict federal mandate against cartoonish “stand your ground” laws which do not see a distinction between firing a submachine gun at an intrusive encyclopedia salesman and massacring some kid in a hoodie isn’t an unreasonable proposition in 2013. * UPDATE: It has been rightfully observed by a few readers that Zimmerman waived his “stand your ground” immunity right during the trial. However, the jury instructions define self-defense very much in line with “stand your ground” under the “justifiable use of deadly force” section. The Tampa Bay Times has also pointed out that several “stand your ground” cases have shared qualities with the Trayvon Martin case. ** UPDATE: This CBS News article was updated a day after this piece was filed. The new version of the article pointed out that the Marissa Alexander “stand your ground” angle was not as cut-and-dry as previously stated. I have let this piece stand as is to reflect the information as it was reported at the time, proving that this issue is indeed a highly complicated one. Thanks to M. Smith for pointing out the revised article. just another ignorant blowhard liberal blogger spouting off their nonsensical opinion, fyi the stand your ground law was not invoked or used in the zimmerman case, you should really get your facts straight before writing this ridiculous tirade and comparing two cases which share nothing in common. Additionally, the Tampa Bay Times pointed out that several other cases similar to Trayvon Martin invoked the “stand your ground” case. Thus, the argument and the concerns raised in this piece are, irrespective of Zimmerman’s decision not to use it, still quite valid. I think every state should have a stand your ground law. I live in VA and here if you catch someone breaking in and shoot them at the threshold you are OK. However, you are supposed to run away if they make it in. That’s crazy. Everyone should have the right to defend themselves and their property. Except that you’re still using Zimmerman in the headline, so you are still drawing a connection that isn’t there. And despite your rabble-rousing, the issue is more complex than you want to believe. In one of the stand your ground stories you cited, the shooter was sentenced to eight years in prison. He’s also black (actually Jamaican). So which side are you on? Again we see a flawed comparison with Marissa Alexander. Marissa Alexander was found guilty of aggravated assault with a deadly weapon. Florida’s mandatory minimum sentencing laws mean she was sentenced to 20 years because she fired a deadly weapon in the course of committing a felony. Her defense on the basis of “Stand Your Ground” was struck down because she LEFT THE HOUSE to retrieve her gun and then RETURNED herself to the situation in which she claimed she was so scared for her life that she had to fire a warning shot. In no way, shape, or how, does Florida’s “Stand Your Ground” law make allowances for a person to disengage from a situation to retrieve a firearm and then return to the same situation to use said firearm. All of this information was in the article you linked, clearly explained. A simple Google search also turns up dozens of reputable sites explaining why she was convicted and sentenced for 20 years. Bill: I am not against self-defense, nor did I ever suggest that the issue wasn’t complex. It involves, as you point out, racial bias and, as the American Prospect’s Scott Lemeux also points out (although I don’t entirely agree with his interpretation of “stand your ground” applicability), laws that reinforce concealed carry which need to be reformed. I realize you come from a law and order background, but “possibly” is the key word. But if you’re going to impute ethnicity over other variables — such as poverty, previous arrests, drugs, psychological problems, the like — as an indicator of crime, then that, to my mind, is a deeply racist assumption that needs to be challenged. M. Smith: The Marissa Alexander article from CBS News that I linked above was updated this morning to reflect some of the developments you point out. I was unaware of some of these details when this article was published and thank you for pointing them out, proving once again that the issue is complex. My feeling is that Florida’s mandatory minimum requirements are as problematic as the “stand your ground” laws.